I don’t think it will surprise any of our readers that Joe Mauer is the longest-tenured Minnesota Twins player. On Thursday in Baltimore, he was on his 15th Twins Opening Day roster, and it was his 14th start on Opening Day, surpassing Harmon Killebrew on that list. The only time he was on the Opening Day roster and didn’t start was in 2009 when he was on the disabled list. Of course, he returned a month later and ended up posting arguably the greatest season in Twins history. We often think only of big-league time when measuring tenure, so I think it’s important to highlight players who have been in the organization for a long time, even if much of that time was spent in the minor leagues. Considering that Joe Mauer was drafted in 2001, this is his 18th season in the Twins organization. 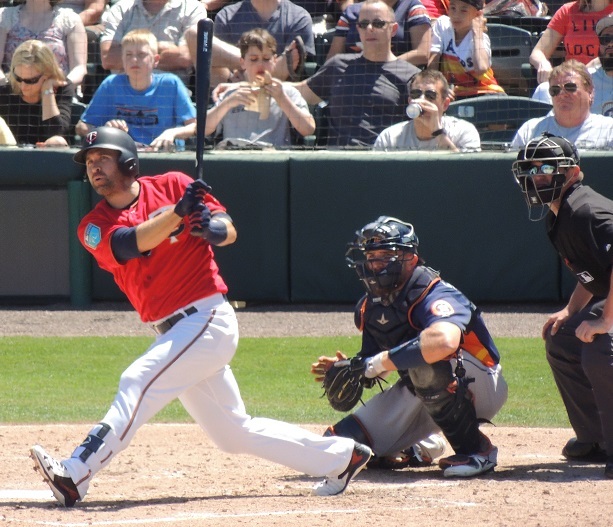 Today’s article is meant to highlight Mauer and others who have been in the Twins organization for a long time!Here you have it, a look at the ten longest-tenured players in the Minnesota Twins organization but first, a few honorable mentions. 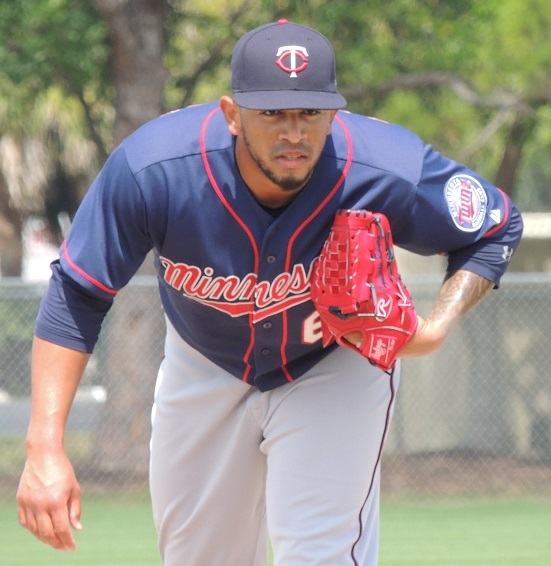 #10 - In November 2011, the Twins signed a thick-built right-hander from the Dominican Republic, Fernando Romero. He came to the States for the 2013 season. In 45 innings in the GCL, he posted a 1.60 ERA and struck out 47 batters. He was also throwing a fastball in the upper-90s. In mid-May of 2014, he moved up to Cedar Rapids. Unfortunately, after three starts, he was injured and needed Tommy John surgery. He missed the rest of that season and the entire 2015 season. While rehabbing, he also needed knee surgery. He returned in 2016 after two years, and he has dominated since. In 2017, he went 11-9 with a 3.53 ERA in AA Chattanooga. In 125 innings, he struck out 120. This spring, he worked eight no-hit innings in big league camp. He’ll likely begin the 2018 season in the AAA Rochester rotation. #9 - In February of 2011, the Twins signed slender right-hander Felix Jorge from the Dominican Republic. He spent that summer in the DSL before spending the 2012 season in the GCL. He moved up to E-Town in 2013 and then began 2014 in Cedar Rapids. But he really struggled and when sent down, he went on to become the Appy League’s Pitcher of the Year. 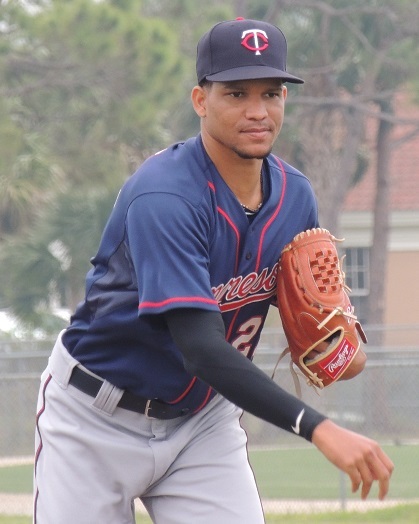 Upon returning to the Kernels in 2015, Jorge made adjustments and has been as consistent as any pitcher in the Twins minor leagues. Following a strong 2015 in Cedar Rapids, he was left unprotected, but he was not taken in the Rule 5 draft. In 2016, he split the year between Ft. Myers and Chattanooga, posting a combined 2.49 ERA. This time, the Twins did add him to the 40-man roster. He spent most of 2017 in Chattanooga. In July, he made two starts for the Twins and recorded his first win in the first game. He ended the season with a couple of Red Wings starts. He’ll start 2018 with the Lookouts. #8 - June, 2010, Eddie Rosario was their fourth-round pick out of Guayana, Puerto Rico. In 2011, he was the Appalachian League MVP when he pounded 21 home runs (one more than Miguel Sano). He continued to rise through the system and played in the Arizona Fall league in 2013. Unfortunately, he had to miss the first 50 games of the 2014 season because of a “drug of abuse” suspension. Early in the 2015 season, he was called up to the Twins and had a strong rookie season. 2016 was more of a challenge, and he was sent down to the minor leagues for a month before returning. 2017 was Rosario’s breakout season. He started swinging at a few fewer pitches outside of the strike zone and hit .290 with 33 doubles and 27 home runs. The Twins will hope for more of the same in 2018. #7 – On October 9, 2009, the Twins were playing (another) playoff series against the Yankees, but the big news of the day came off the field. 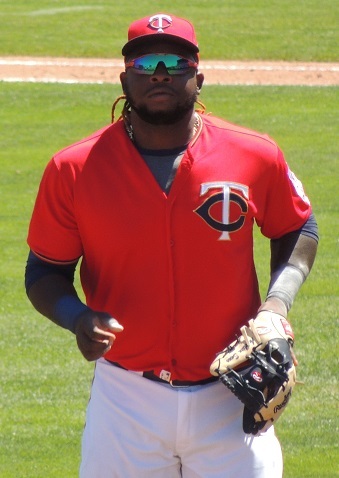 The Twins had signed the #1 ranked international free agent, Miguel Sano, to a $3.15 million signing bonus. Since then, he has been one of the top power hitting prospects in baseball. He looked ready to debut with the Twins in 2014. Unfortunately, he needed Tommy John surgery and missed the entire season. He returned to action in 2015. He struggled for the first month of the season but started hitting soon after. He made his MLB debut in July and played so well he was named the Twins MVP and Rookie of the Year. He finished third in AL Rookie of the Year voting. He mostly DHd as a rookie, and in 2016 he was moved out to the outfield (which didn’t go well) and he struggled with the bat too. He moved back to third base in 2017 and played the position adequately. He made his first All-Star Game in 2017 and finished second to Aaron Judge in the Home Run Derby. He was hurt and missed the final two months of the year. He had surgery, and also dealt with off-field issues, but he’s ready for Opening Day and should be a force in the middle of the lineup. 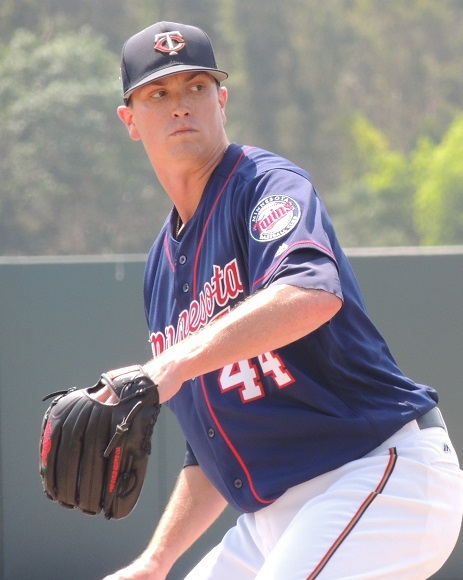 #6 – Within the final hour of the the final day that teams could sign their 2009 draft picks (August 15), the Twins and pitcher Kyle Gibson reached an agreement. He began his professional career with the Miracle in 2010 and got to AAA that season. He returned to Rochester but by midseason, he wasn’t pitching like himself. He had an elbow problem and months later, he had Tommy John surgery. He missed the entire 2012 season. He returned in 2013 and had a ten-start call up with the Twins. He has been in the Twins starting rotation the last three years. In 2015, he was named the Twins pitcher of the year. 2016 was injury-plagued for Gibson. Midway through the 2017 season, Gibson found himself in Rochester for a couple of stints. However, something clicked and Gibson was strong over his final dozen starts. He returns in 2018 with hopes of continuing the positive progress. #5 – On July 11th, 2009, the Twins signed highly regarded German outfielder Max Kepler. Though Kepler was always blessed with great tools, it wasn’t until 2015 that everything came together for him. He has worked slowly up the system. He repeated Elizabethton and has moved up one level each year since. He was named the Southern League MVP and led the Chattanooga Lookouts to the league title. While his team was celebrating, Kepler learned that he was heading to the big leagues. On the season’s final day, he got his first MLB hit off of Johnny Cueto. He began 2016 in Rochester and was called up quickly. He played little. He went back down but when he came up in late May, he played nearly every day and held his own. In fact, we all remember the series in Cleveland where he hit four homers, including three in one game. He put up very similar numbers in 2017 as he did during his rookie season despite struggles against left-handers. The hope is that Kepler will take a step forward in 2018. 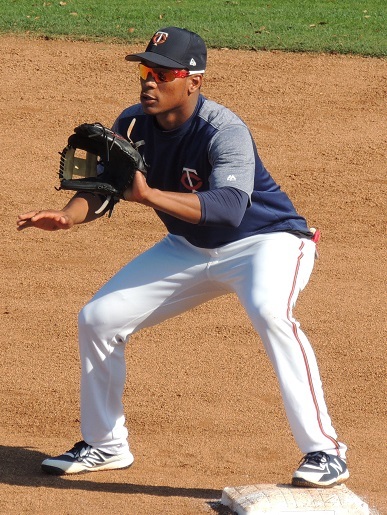 #4 – On July 2, 2009, the Twins signed highly-regarded defensive shortstop Jorge Polanco from the Dominican Republic. He was brought along slowly, spending two seasons in the GCL. He started hitting in 2012 in Elizabethton. He has been a good batting average and on-base hitter since. It’s on defense now where there are question marks. He received a couple of cups of coffee with the Twins in 2014 becoming the youngest player to debut with the Twins since Joe Mauer in 2004. Polanco played in Chattanooga and Rochester in 2015 with a couple more very short stints in the big leagues. He moved up and down between AAA and the big leagues in 2016 until the July trade of Eduardo Nunez when he came up and played shortstop most days the rest of that season. He struggled through the first four months of the 2017 season, but he was arguably the team’s best hitter over the final two months of the year. Scheduled to be the team’s shortstop again in 2018, Polanco was suspended for the first 80 games of the season due to a failed PED test. He’ll return to the Twins lineup around the first of July. 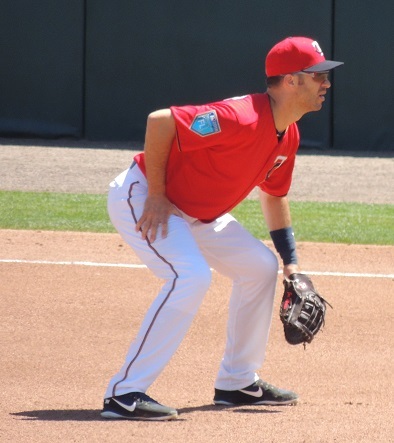 #3 – The Twins drafted and signed shortstop Brian Dozier in the eighth round of the 2009 draft after four seasons at Southern Mississippi. He was the Twins Minor League Hitter of the Year in 2011 at AA. Days before his 25th birthday he debuted for the Twins in 2012. He really struggled that year. In 2013, he moved to second base and has been a power hitter since. He participated in the Home Run Derby at Target Field in 2014. In 2015, he made the All-Star team and homered in the game. In 2016, he had one of the most impressive seasons in Twins history. He became the first Twins player not named Harmon Killebrew to hit 40 home runs and ended with 42 homers. He was the subject of rumors throughout that whole offseason, but he remained with the team and had another terrific offensive season. He also won his first Gold Glove award. He could become a free agent after the 2018 season. #2 – Yes, I’m taking some liberties here. I say that the player has to be with the team consecutively, so in 2015 I didn’t include Torii Hunter because he had been gone for eight years. Sure, Kennys Vargas spent about a week as technically a member of the Cincinnati Reds organization, but he was on waivers most of that too, so when the Twins reclaimed him, I quickly made the decision to keep him on this list. Kennys Vargas went undrafted out of high school in Puerto Rico in 2008. In February of 2009, the Twins signed him as an undrafted free agent. He had a 50-game suspension before reaching a full-season team. He worked his way up the system. He was the Twins choice for Minor League Hitter of the Year in 2014 when he played primarily at AA. However on August 1st, his 24th birthday, he was promoted directly to the Twins. He had a nice 53-game showing in 2014. In the three seasons since then, he has struggled with consistency though to be fair he moved from Minnesota to Rochester and back and forth several times.. 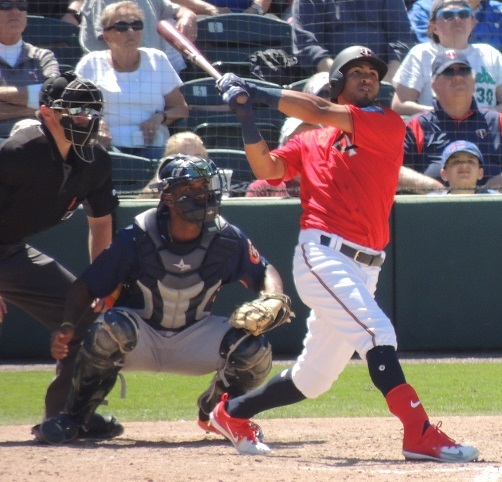 He got a fourth option season for 2018, so the Twins started him in Rochester (in large part because of his time spent with Team Puerto Rico in the WBC). 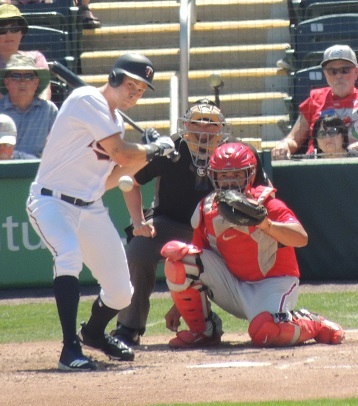 This spring has likely been a whirlwind for him since the Logan Morrison signing, but he does remain in the organization and will start the season with the Red Wings. #1 – Joe Mauer remains the longest-tenured Twins player, having signed in 2001 after being the #1 overall pick in the draft. That makes 2018 his 18th season with his hometown organization. It will be his 15th in the big leagues. No need to get into all of his accolades, like his AL MVP, the three batting titles, the Gold Glove Awards, the Silver Sluggers, etc. He moved to first base in 2014 after his Hall of Fame-caliber first decade in a Twins uniform at catcher. He’s struggled offensively the next three years. Last year, he returned to form after a slow start. He hit over .300. He got on base over 38% of the time. He should have won a Gold Glove. Early in 2018, he’ll reach the 2,000 hit mark for his career. His long-term contract comes to an end following the 2018 season. If healthy, he should keep coming back. So there it is, the players in the Twins organization who have been in the system the longest, consecutively. I’ll guess that at least a couple of the names may not surprise you. I’m certain that you wouldn’t have guessed everyone on this list. Feel free to leave your thoughts, or let me know if I forgot anyone. The changeover is remarkable, as well as how many guys actually do play for years and years in the minors (shades of Levi Michael) and never get the call from one organization. Considering the Twins have 10 players on their roster that didn't open the season with them last year shows you that no job is safe. Yes, many a career is a lot shorter than one may think in this sport. Pretty insane that Jorge and Romero are the second and third longest tenured Twins pitchers. Mauer should make the Hall, Top 5 catcher of all time. Seeing Mauer is #1 on this list, got me thinking.What will it take for him to have a good chance of getting into the Hall of Fame? I doubt that his chances are great if this is his last year.What do I see him doing to improve his chances?First, getting a gold glove at his second position...which he should have gotten last year.Second, one more season with an average above .300.And finally, I think he needs to get at least 2,500 hits.Assuming he ends this year with +/- 2,150, that would mean he would likely have to play at least another two years, probably three. I think he merits membership.Hopefully, he makes it! Assuming he ends this year with +/- 2,150, that would mean he would likely have to play at least another two years, probably three. Mauer hasn't recorded enough hits in a season to reach that number this year since 2012. He got close last year, so that would mean he has an even better season in 2018. Adding a World Series title would be very helpful to Joe's HOF resume. Felix Jorge was one of my adopt-a-prospect guys last season, and it was fun watching him progress. It didn't occur to me that he was among the longer-tenured players in the Twins system. I hope the mention of Mauer's name doesn't obscure the presence of these other players. Seth's right to highlight their longevity. Amazing to see an 8 year gap between the #1 and #2 longest tenured. If an international player (at least Dominican, Venezuelan) has made it to AA, it usually means he's been in the organization 5-7 years.Someday, we will look back at this, and other features, of international signing rules and say "did this really happen?". Btw...Killebrew made 15 opening day line-ups for the franchise.It's just that the team was named the Washington Senators for the first two .His first opening day start for the Senators was in 1959, at the age of 22.He hit a home run.This was already his 6th year on the major league roster due to the 'bonus baby' rules in effect at the time. (Speaking of 'did this really happen?'). I talked with Joe the day before they broke camp and said I hope you're here next year and he said me too. Thanks for this article. Brings back memories. I consider Mauer a HOF cinch if he has another year like 2017 and wins a Gold Glove. Minnesota's Bob Dylan hit the skids for a decade but came back in full glory in the late nineties to ace the new century and receive the Nobel Prize in Literature. Mauer, also one of our own, had his several years in the wilderness, like Jesus facing his demons, and some thought it might be his curtain call. Jesus came back to claim his crown as the son of God and Joe, likewise, emerged last year after overcoming a true brain drain in the wake of the concussion that forced him from behind the plate to first base. Bob Dylan and Jesus deserve their titles and I put Joe on the same plateau. Barreiro didn't call him Baby Jesus for nothing. If you hadn't given Vargas a pass on his time with the Reds, would Buxton have made the list? The list shows the amount of change this team had been through since moving into Target Field. The same list in 2020 may show as much change, with potential for retirements, trades, etc. Save the list for a comparison in 2 years.